The MicroMount™ is a combination of our UniCam and Uni-T adapters. It will easily adapt most "pocketable" sized Point & Shoot type cameras to Eyepieces having an outside diameter of up to 2 ". The MicroMount™ is a combination of our UniCam and Uni-T adapters. It will easily adapt most "pocketable" sized Point & Shoot type cameras to Eyepieces having an outside diameter of up to 2 ". 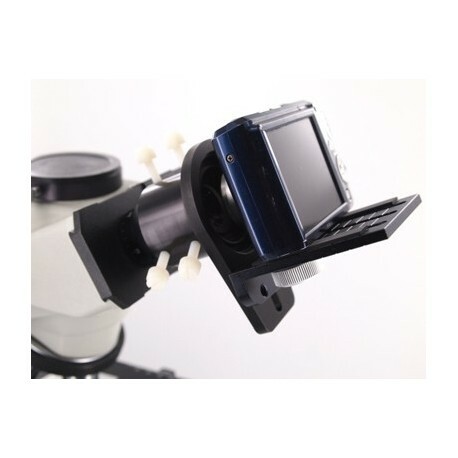 Installation is quick and easy and subsequent setups with the same Eyepiece and Camera are even easier. Constructed of sturdy CNC Machined Aluminum with a durable black anodized finish for years of use. High precision aluminum parts for accurate optical alignment. 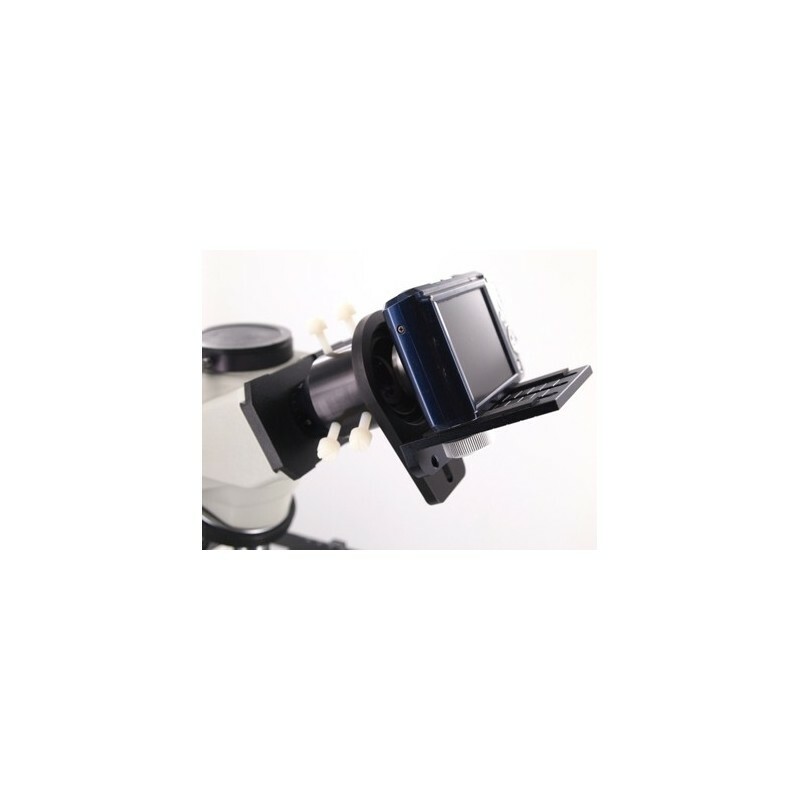 Beware of similar looking mounts made of flimsy plastic that droops under the weight of a camera causing poor alignment and vibrations. The Nylon thumbscrews will not mar your expensive eyepieces. Use your cameras built-in timer mode for easy shake-free shots. Packaged with illustrated easy to follow instruction sheet. Includes a 1yr warranty against defects in material or workmanship. TIP: If you always use this adapter on the same eyepiece it is self-centering after the first use. Simply tighten & loosen the same upper and lower screw (not touching the other 4) and the adapter will automatically recenter itself for quick easy re-installation. Use your cameras "self timer" mode to assure clear shake free shots..